Spencer Luckey, President of Luckey LLC, was drawn back into the family business just a few years after graduating from the Yale School of Architecture when his father suffered a catastrophic accident. Prior to his career in design, Spencer was a landscaper, waiter, painter, bike messenger, salesman, musician, mascot, carpenter and convenience store clerk, and thus brings a myriad of perspectives to his work. Spencer believes in the power of art to bring people together and aims to design Luckey Climbers that embody optimism, joy and possibilities. Spencer also believes in magic. When not at work, Spencer loves to spend time with his family and is a dedicated musical hobbyist. Dana joins Luckey LLC as Director of Operations with more than 20 years of experience as a timber farmer, welder, finish carpenter, business owner, and custom home-builder. Prior to joining the company, Dana owned and operated a custom design and remodeling business in New Haven, Connecticut for 12 years, focusing primarily on residential properties. He experienced his first Luckey invention when he was 10 years old in the front yard of neighbor Thomas Luckey. Later, in his early 20’s, Dana sought out Tom’s advice as he was broadening his skills and exploring the artistic aspects of building. He had the opportunity to help build several of the early Luckey Climbers and learned first-hand about all aspects of the process, from initial design, to construction of steel, and wooden platforms, finishing, and on-site installation. Since then, he has seen Luckey Climbers evolve and grow into the global enterprise it is today. He continues to find wonder and delight in their creation, and is committed to the company’s success. When not at work, Dana enjoys time with his two young daughters and wife, Owen Sea Luckey. 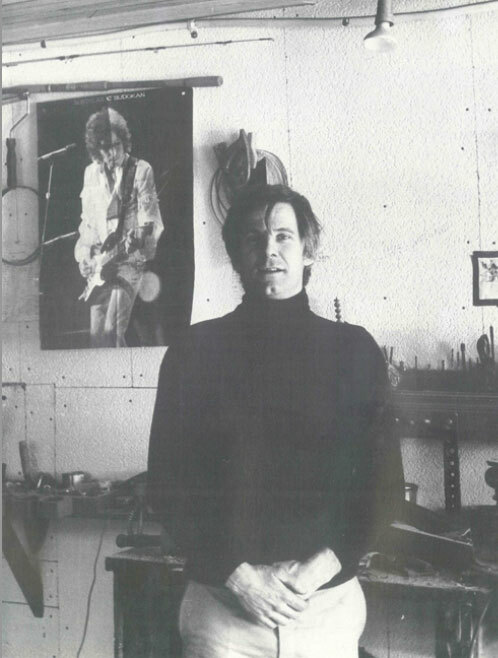 Thomas Walker Luckey, was an artist, sculptor, and architect renowned for his one-of-a-kind climbing sculptures. A graduate of the Yale School of Architecture, Tom’s fascination with movement and his desire to create positive spaces inspired a diverse portfolio including merry-go-rounds, a convertible staircase/slide, and the iconic “Luckey Climbers” that have delighted children and adults alike, in cities across America and the world. Tom Luckey was a visionary, a creative genius, a legendary optimist, an exuberant showboat, and an infamous fun-maker. He was an avid collector of friends, regardless of age; all that mattered was whether you were willing to take a leap with him towards his ultimate goal: superlative joy. Tom was the quintessential military brat, moving frequently throughout his childhood. Even in those early years, Tom showed a unique ability to envision and bring to life imagined forms. He was always working with his hands and led by his dreams. From simple carvings, he built up to larger projects including a little cottage on Martha’s Vineyard, which he built when he was 16.